Samsung Galaxy S9 is tipped to launch at the Mobile World Congress 2018 tradeshow, which will be held from February 26th to March 1st 2018. A new report claims the Galaxy S9 will ship with a “3D sensor front camera”. If that sounds at all familiar, it’s probably because the front-facing 3D depth-sensor is one of the flagship features on Apple’s all-new smartphone, iPhone X. This new sensor system powers Face ID, which unlocks the iPhone X and authenticates contactless payments by scanning the user’s face. This is something Samsung has toyed with before, the Samsung Galaxy S8 already boasts a face scanning feature. However this authentication system is currently powered by the front-facing camera, which makes it much less secure than Face ID. On the Samsung Galaxy S8 product page, Samsung says that “face recognition is less secure than pattern, PIN, or password” – something that could easily change with the hardware upgrade purportedly scheduled for the Galaxy S9. 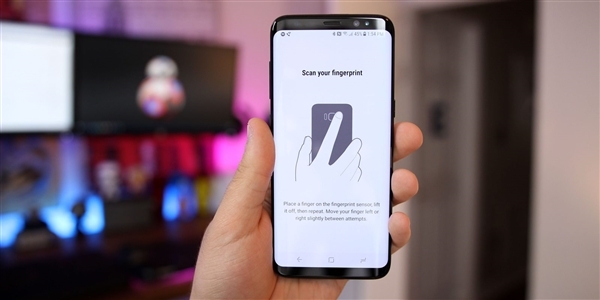 The Samsung Galaxy S8 Plus also offers Iris Scanning, fingerprint scanning, a numerical PIN or alphanumeric passcode to unlock the phone. By contrast, Galaxy S9 Face ID is more secure than the iPhone X.